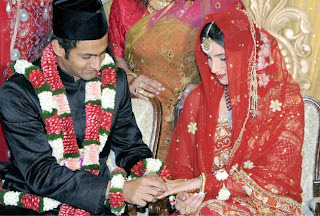 The Dispute between Pakistan Cricket Team Captain Shoaib Malik and Ayesha Sidiqqi has finally came to an end after a week when Shoaib Malik divorced Ayesha Sidiqqi today. After the divorce Sidiqqi family has also taken the FIR back against Shoaib Malik. All this has happened after some Muslim leaders of Hyderabad hot involved in the matter for an agreement and finally the solution has came out. From almost a week this matter was at top in media and every News Channel was discussing this issue. on other hand family of Shoaib Malik has reached India for marriage of Shoaib Malik with Sania mirza which will take place on 15th of April.